Being too cold while at work is one of a common complaint that many people have. You’ve likely seen people having to wear a coat or jacket inside, even when it is warm outdoors, some even come prepared with blankets or a space heater for under their desk. It’s also common for people to suffer from allergies due to the poor air quality within an indoor workplace, and certain seasons are definitely worse than others. 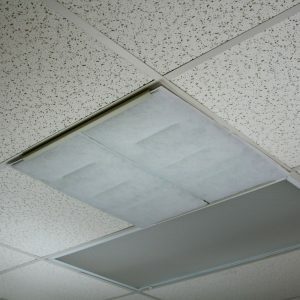 Both of these productivity affecting issues are common in workplaces today, but they only happen when the necessary precautions aren’t taken with an overhead air vent diffuser. 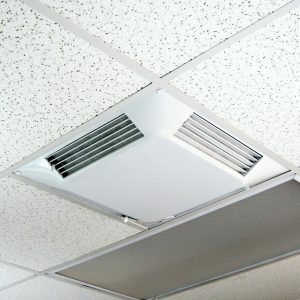 There will always be air conditioning in the workplace, but as the owner or manager, you can address the reasons people complain about the freezing air coming from the commercial air vents above. 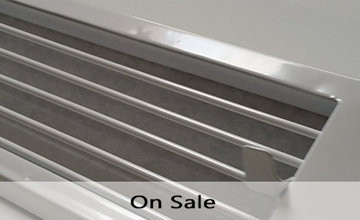 Whether you need an air deflector, air diverter, supply air diffuser, or air vent diffuser, you will find our products are the only answer to these common workplace problems. Both our Control-A-Flow® Draft Eliminator and Comfort First Filtered Diffusers™ redirect air along the ceiling and terminate drafts and cold breezes through superior airflow that is compatible with all HVAC systems. 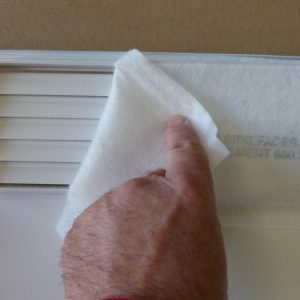 Both of these air deflectors have filters that improve indoor air quality by filtering out pollens, dust mites, germs, volatile organic compounds, dirt, insects, and microorganisms that flow through most ducts and irritate individuals who suffer from allergies. 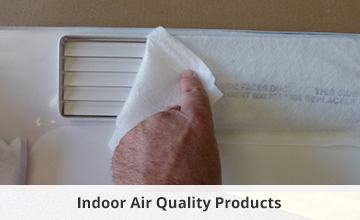 Improve your indoor air quality (IAQ) with air filtration and purification from our range of filtered supply diffusers. 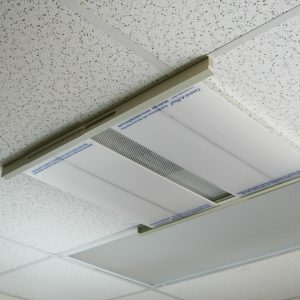 Our products will fit into your existing 2x2 foot drop ceiling without any issue. Whether your employees are experiencing allergies or just are too cold, Comfort First Products strives to provide you with a solution. 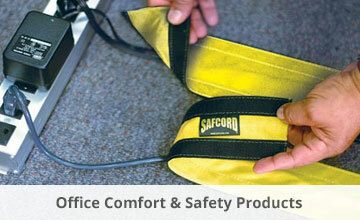 As a company, we strive to improve employee comfort and safety in the office environment. Happy and healthy employees are more productive employees. By providing a wide variety of products that create a more comfortable, healthy, clean, and productive work environment, we enable our customers to have the success in their workplace that they desire. See what customers who are already using Comfort First Products in their establishment are saying, here.